The international dog show “Baltic Triumph” took place in St. Petersburg, Russia on February 10-11, 2012 and collected around 1,500 exhibitors from nearby countries on its rings. With nearly 6.000 dogs at the Exhibition Centre at Lillestrom, just outside Oslo, the Norwegian Kennel Club proved again that not only is the Exhibition Centre big enough to host larger shows, like the Europe Winner Show 2015, but also that they have the staff and expertise to run them. The opening show of the 2012 Costa Rica National Dog Championship, known as the “Copa INBIO Parque” (INBIO Parque Cup) got underway on 28th and 29th January this year, with dogs entered from different parts of the world, and five expert judges. 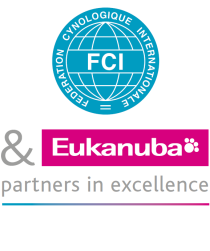 This year’s first FCI International Dog Show in Japan was held at Makuhari Messe in Chiba on January 29, 2012 organised by the JKC Chiba Block Council.